On the orographic left side of the valley, at the foot of a great overhanging rock, the ancient Sanctuary of S. Besso was built. 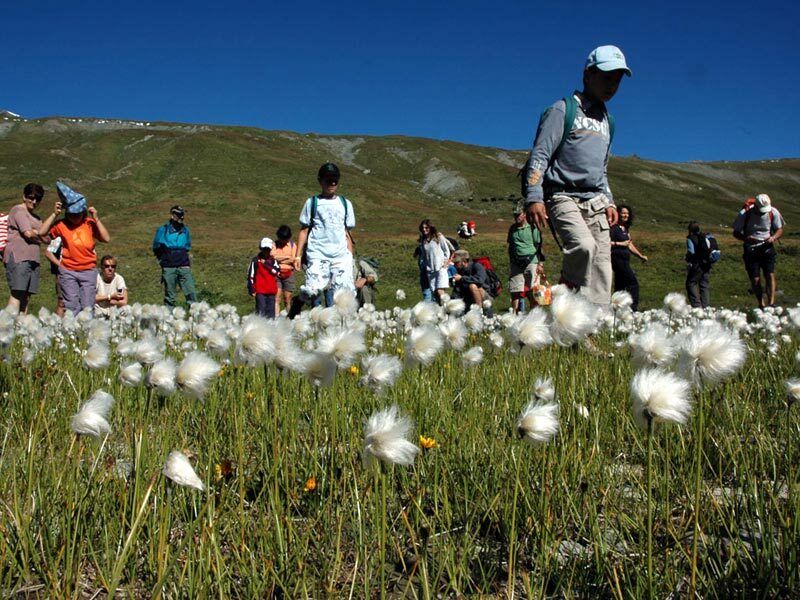 Every year on 10th August the population of Val Soana and Cogne, on the slope of the Valle d'Aosta region, climb up to the 2,000 meters of the Sanctuary for a great celebration. An opportunity not to miss, also for tourists. 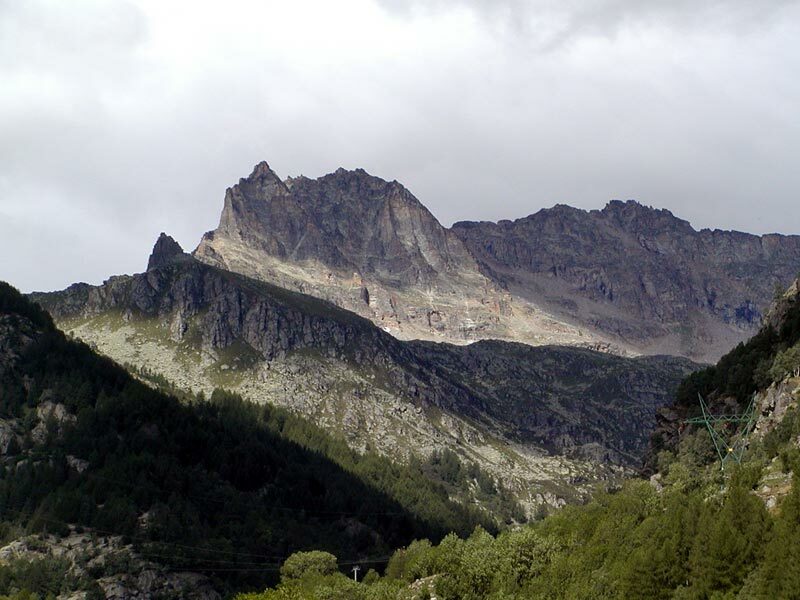 In the area there are several excursion itineraries. 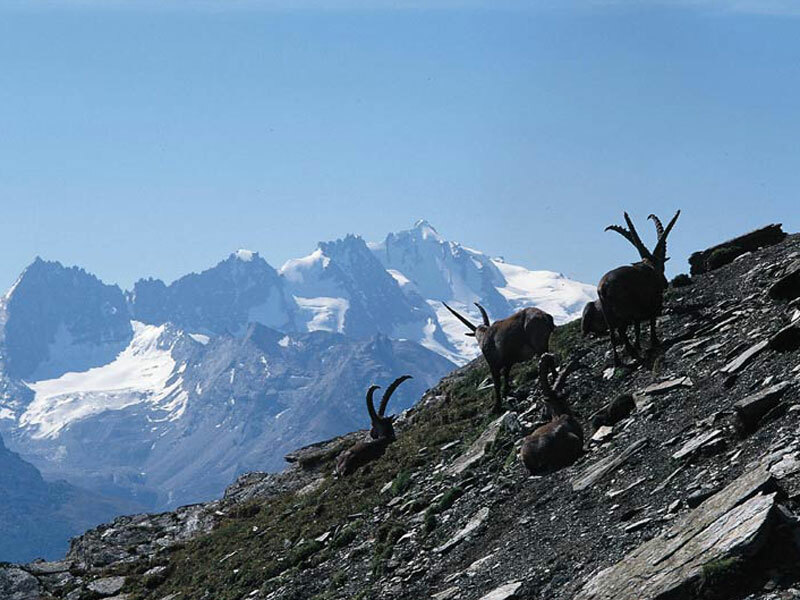 The Gran Piano and the surrounding areas are perhaps among the least known of the Park, but they represent an ideal place to observe grazing chamoises and wild goats. The green meadows are rich in watercourses often covered by cotton-grass. A wonderful traverse links the hill of Nivolet to Gran Piano, with a great view over the Valle Orco. It is one of the most interesting plateaus of the Alps, developing for over six kilometers at 2,500 meters of height. The area is very rich in water: besides a number of small lakes set among the rocks, the green pastures are crossed by the river Dora di Nivolet, which with its meanders forms marshes and peatbogs where the common frog and many species which are typical of this ecosystem live. An ancient road through which King Vittorio Emanuele II used to travel by carriage. It goes through the red fir and larch wood up to the famous hunting residence of Orvieille. 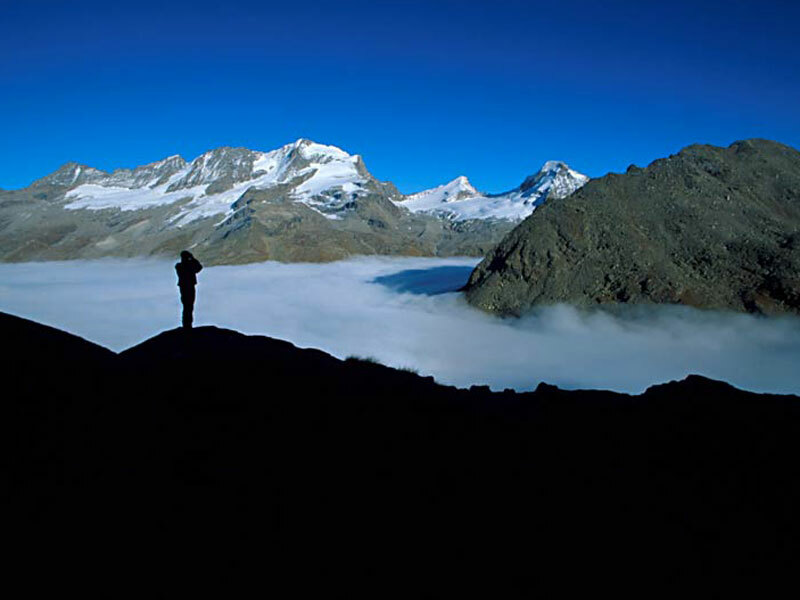 From the plain where the house was situated near the current seat of the foresters, and from the wonderful Djouan Lake, it is possible to enjoy great views over the glaciers and the peaks of the Gran Paradiso group. The tour leading from Valnontey to Vittorio Sella Mountain Hut is the most famous of the Park. 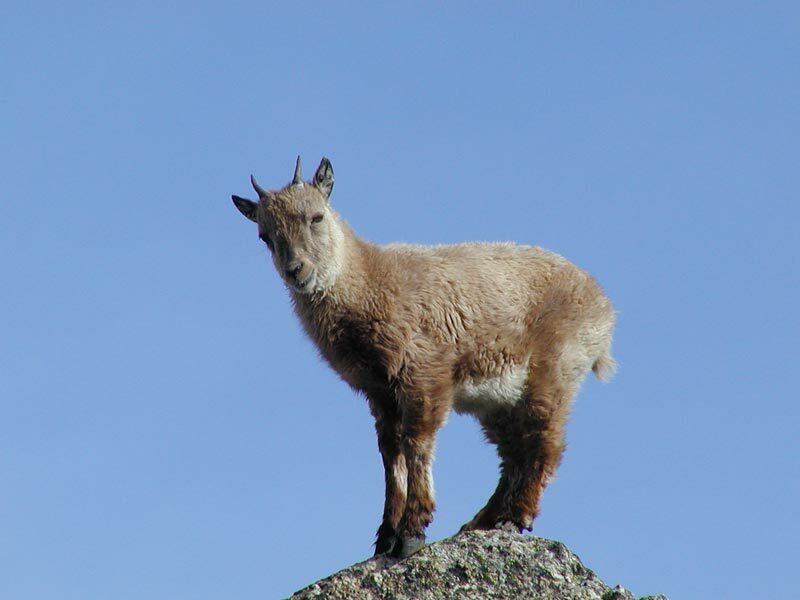 In the evening or soon in the morning near the Lake of the Lauson it is easy to approach the wild goats. The Herbetet rural buildings are worth a visit for the wonderful views over the glaciers they offer. The path, equipped with fixed iron ropes, requires care. This valley is very narrow because it is of river origin and has a luxuriant vegetation because of the high degree of humidity characterizing it during the whole year. Only small towns have developed here. The landscape is very particular with respect to the rest of the territory: here you can find broadleaf tree woods mainly dominated by chestnut trees which gradually, as you climb to higher altitudes, give way to beech trees.